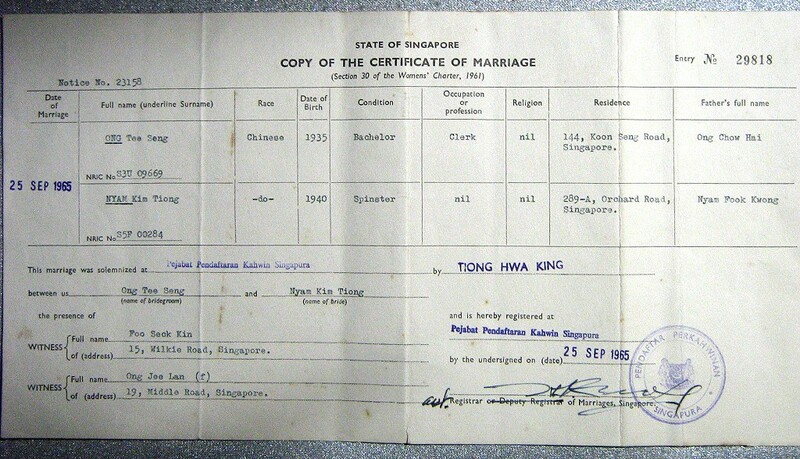 So I recently came across my parents' marriage certificate — from 1965! The date stamp on it is more than a month after Singapore became an independent nation and nine months before I was born. Ahem. I'm impressed by my mother's old address. I didn't know she used to live in Orchard Road! When I was born, she had already moved to Koon Seng Road and now lives in Jurong West, which is okay but it's no Orchard Road. 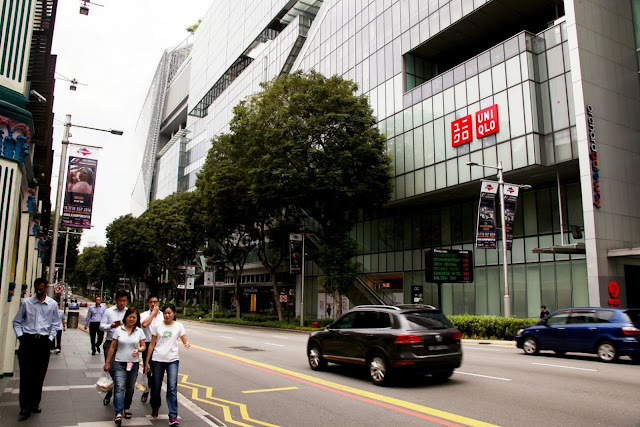 According to Google Maps, 289 Orchard Road is somewhere around Orchard Central. 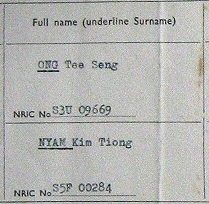 Notice how different the old NRIC numbers were with one fewer digit, the reference letter at a different place and the space after it — but they still start with an S.
I am surprised to find that under Religion, it was typed "nil" because I didn't know my parents were atheists. I mean, what with all the joss stick burning, praying and the giant altar in our living room. But the most interesting thing about the document is probably the Condition column. If I were to fill this cert myself, I would have never guessed that under Condition, I was supposed to write "Bachelor" and "Spinster". Who knew that being a bachelor or spinster was a "condition" 52 years ago? 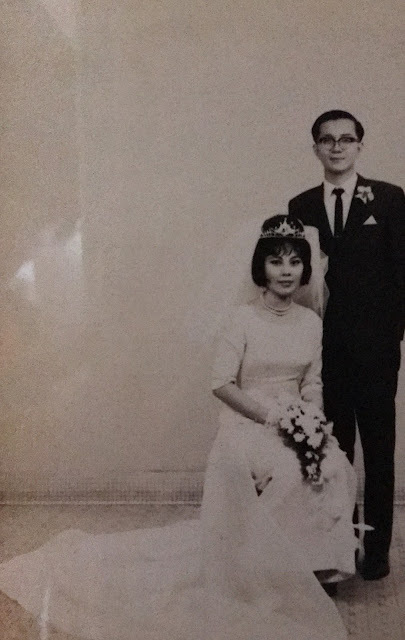 My father died in 1993. So if my mother were to re-marry and had to fill this form again, I presume under Condition, she would now be a "Widow".